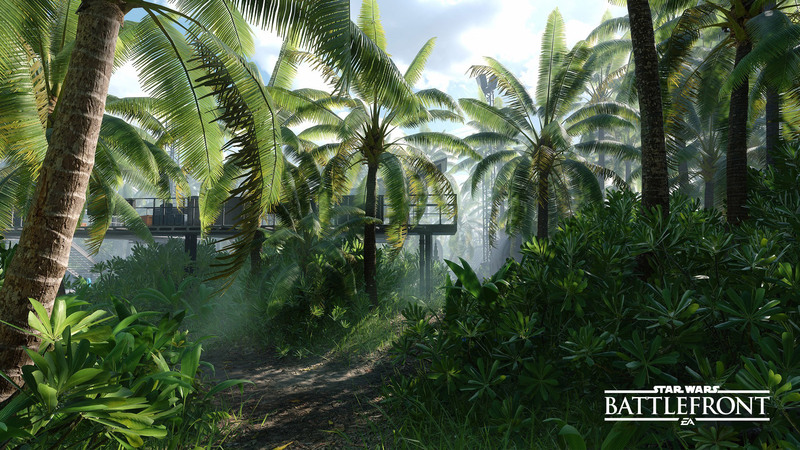 The Rogue One: Scarif DLC introduces two new heroes to Star Wars™ Battlefront™ inspired by Rogue One™: A Star Wars™ Story. 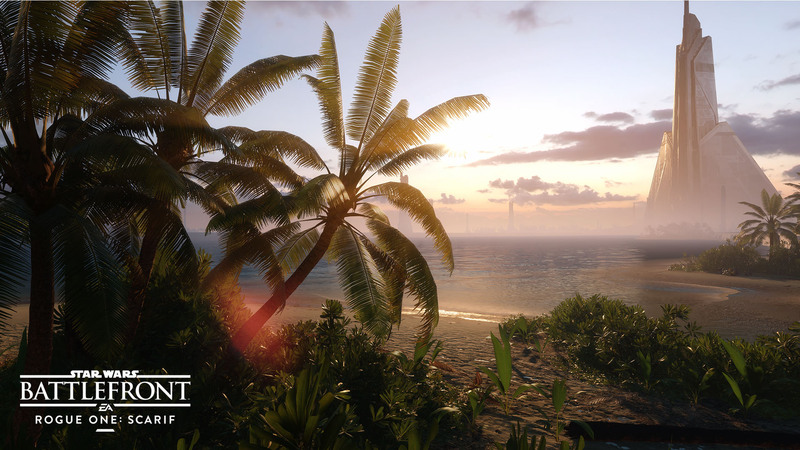 The rebellious Jyn Erso and the cruel but brilliant Director Orson Krennic make their highly anticipated debut on the battlefront as the two new playable heroes in the Rogue One: Scarif DLC. We’ve worked closely with our friends at Lucasfilm to bring two of the newest icons of the Star Wars™ universe from the silver screen to Star Wars Battlefront. 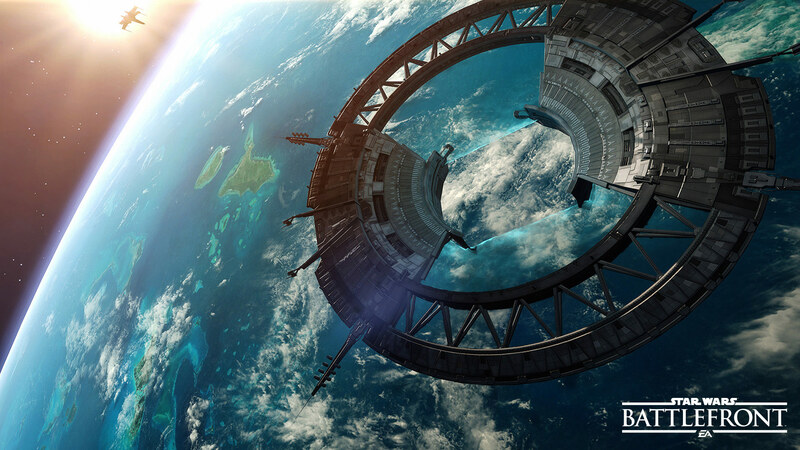 Here are some key details and developer tips for these characters to make sure you’re ready to hit the ground running on the tropical planet of Scarif this December. The Rifle Extension allows you to toggle a barrel extension on your A180 Blaster Pistol. This extension will transform it into a blaster rifle with a high rate of fire, removing the cooldown from the Blaster Pistol. While the Blaster Pistol is very effective on distant or high-health hero targets with its high damage, the Rifle Extension should be used to quickly dispose of stormtroopers or close-range targets. Developer tip: Use this power to avoid overheating your weapon, as the Rifle Extension does not inherit existing head buildup from the previous configuration. The Sonic Imploder is a multi-effect grenade that will damage, blind, and temporarily reduce the armor of Jyn’s enemies. The effect varies based on distance from the grenade. Enemies close to the grenade explosion will take high damage. The flash will affect enemies at a medium distance, while enemies at a long distance will have their armor reduced. The armor reduction is one of our new features for this content release which indicates if you will take more or less damage from enemy weapons. Other powers, such as Chewbacca’s Mighty Roar or Krennic’s Motivator, can increase your armor. Developer tip: The motivation behind the Sonic Imploder is to give Jyn an opening to unleash her Truncheon Surge in close combat. Jyn can strike forward in a short melee attack that can be chained together as long as she has charges available. Since this ability is dependent on charges, there is no direct cooldown restriction. Once Jyn is out of charges, she will have to gain back her 3 base charges using her trait, Truncheon Charge. Developer tip: This ability paired with high charges can be devastating for the enemy team. Do not forget to have an exit strategy though as you might be left to deal with long range enemies after your attacks. 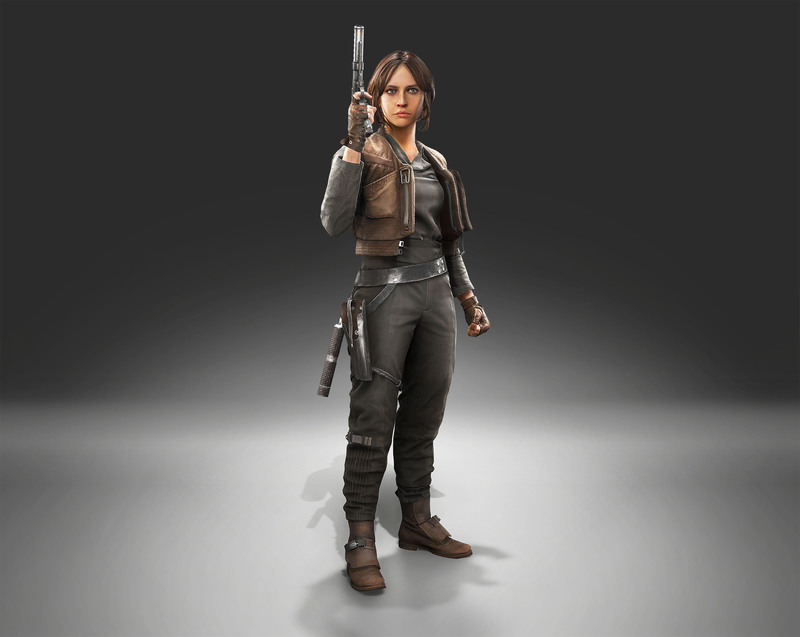 Thankfully, Jyn is a really tough character and had a bit more health than most heroes to help in her melee fight. The Truncheon Charge allows Jyn to passively gain charges for her Truncheon Surge. This trait will allow her to keep up in close combat for a longer time. The more charges Jyn builds up, the more enemies she can take out by chaining together higher number of Truncheon Surges. A player that can effectively time this trait with actions will find Jyn to be a powerful hero. Orson Krennic is a cruel but brilliant Imperial leader and our goal was to reflect his position as Director of Imperial Weapons Research with gameplay support abilities tied to the troopers surrounding him. We really wanted him to be a driving force for the Imperials and bring the troops together for a strong push. Gameplay-wise, we wanted to give you the ability to strategize your positioning and your trooper’s position to get the most out of your abilities. Armor breaker is a toggle ability that loads a unique type of ammunition into Krennic’s DT-29, rather than the six standard bullets. This ammo will deal high amount of damage as well as temporarily decrease the target’s armor. This ability is particularly effective against enemy heroes or distant targets. Developer tip: You will have to reload for each ammo shot so make sure you don’t use this ability if you are facing a group of enemies unless your Motivator trait brought in a lot of support. As the director of Advanced Weapons Research, Krennic has access to C2-B5, an astromech droid, and can deploy it in battle. This droid will periodically scan the area for enemies, and will protect itself by deploying a large personal shield. Once C2-B5 detects a Rebel, it will release a dioxis gas to neutralize the enemy. This capablity to detect and dispatch enemies gives Krennic ability to impact the movement of both allies and enemies on the battlefield. Developer tip: C2-B5 provides a great defense mechanism for capture points, just watch out for Rebels with Scatter Guns. This ability will temporarily allow Imperial troops to sustain high damage at a price. Krennic will replenish the health of troopers and double it through bonus health. For a short time, they will also have extremely high armor, ideal for a strong push against Rebels. This armor boost will slowly degrade until it reaches the health level that the player had before the boost. For villains, this power will give a low percentage of bonus health as well as a temporary high armor. We wanted troopers and heroes to interact more and have a deeper impact on each other. This support power does a good job in giving heroes and troops a bigger advantage by working together. Developer tip: Time this ability well and you can drive your team to a win, but if you use it too early, it will leave your troopers with low health at the wrong time. 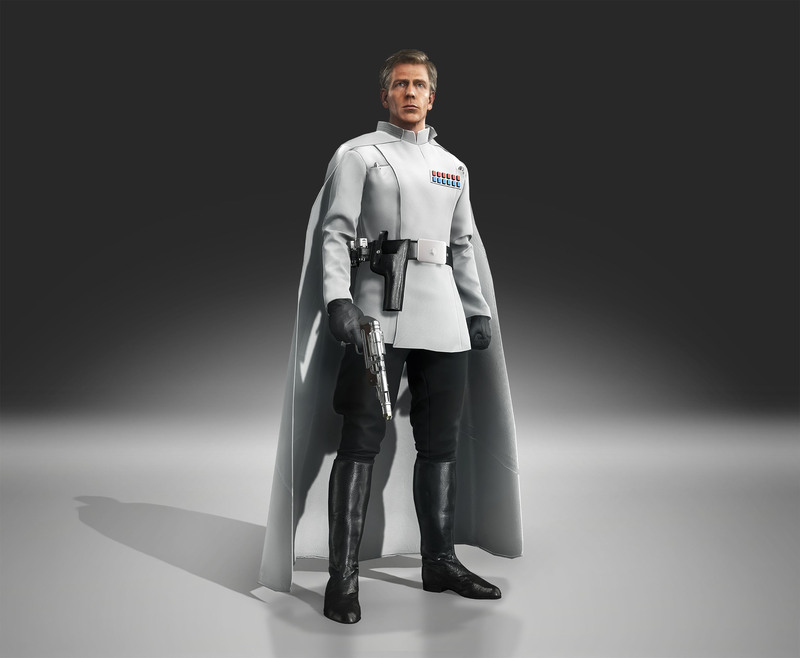 Orson Krennic’s trait is activated differently than any other hero trait so far. Instead of rewarding kills, we wanted to reward strategic positioning and teamwork between Krennic and his troops. Imperial units will gain armor by being around Krennic while he gains more armor the more he is surrounded by friendly units. Villains count as two units for this trait rank. The goal is to make Krennic the center point of Imperial assaults. This trait paired with his Wrath of the Empire ability, will help him capture points by allowing his team to sustain a high amount of damage. Of course, when Krennic is on the battlefield, his Death Troopers will be close behind. 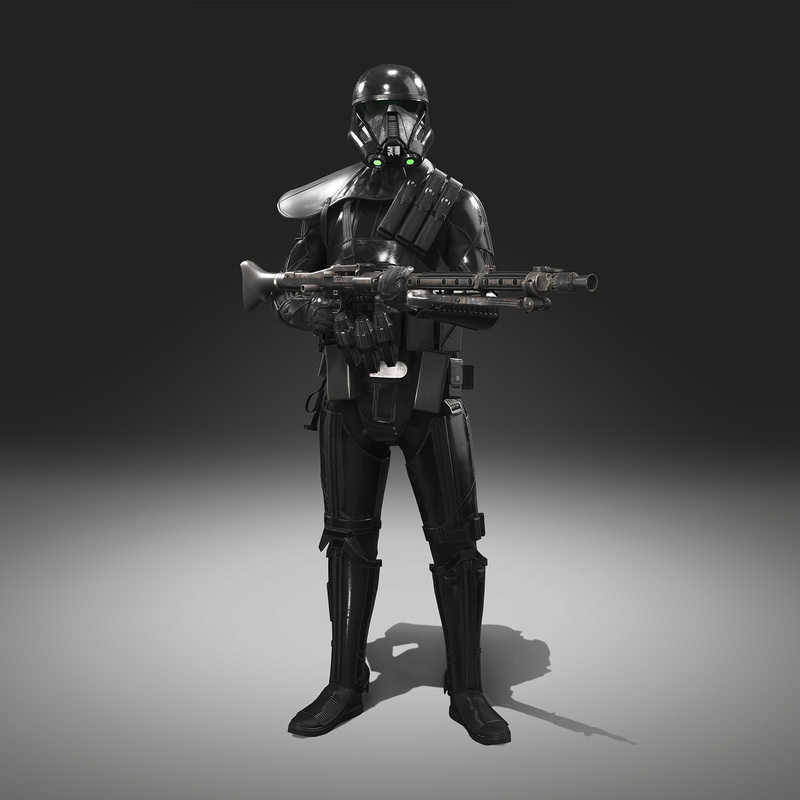 As soon as Krennic is present, two players will be able to spawn as Death Troopers to support him. Their powers will include a Thermal Imploder, a Cooling Cell for their DLT-19 and a Smart Rocket. In the interest of continually improving the Battlefront experience, we’ve decided to add some exciting new traits to the original list of heroes in the title. Traits allow us to give some twists to the way heroes are played without changing them too much and without having too strong an impact on balancing. We really hope you enjoy these changes to the original heroes of Battlefront! Luke will sprint faster with each trait level. This trait will bring a really good hit and run mechanic to Luke, which we had a lot of fun testing. Han Solo’s long-range damage will increase with each trait level. This will allow Han Solo to somewhat compensate for his weakness in long-range combat. Leia will provide armor for herself and friendly units with each trait level. Leia receives a higher bonus than her troops. This will improve Leia’s support and counter Krennic’s own Trait. Darth Vader will increase his own armor the more Rebels are around him. Heroes count double in the total amount. This trait should push Vader to get into close combat with Rebels and sustain less damage in that case. Boba Fett will have a passive scan ping with increased distance for higher trait level. Each kill will also replenish his jetpack fuel. We want Boba Fett to feel like he has the ability to hunt the next kill and reward good play with a sustained flight. Palpatine will passively replenish his Force lightning power with higher trait level. Each kill will replenish part of his power.